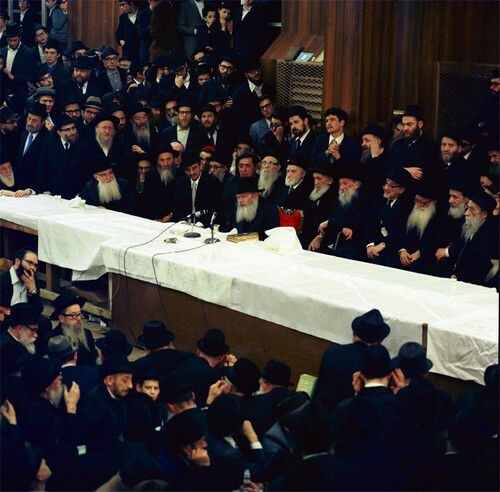 This unique square photo from the living Archive photo collection is the best of four shots taken by the photographer Zev Schildkraut during the Rebbe’s seventieth Birthday Farbengen. The photo’s unique angle and vibrant colors truly brings this historic Farbrengen to life. Photographed in color on 6 X 4.5cm Vericolor II Professional Type S 645 Film.